We are an international award winning criminal defence law firm based in Sydney, Australia’s global city. 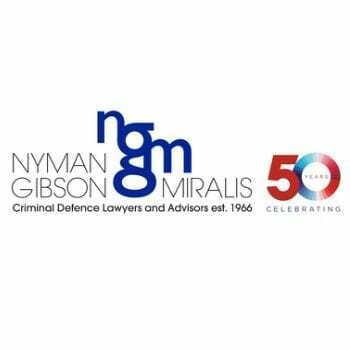 Established for over 50 years we are market leaders in all aspects of general, complex and international criminal law and are widely recognised for our involvement in some of Australia’s most significant criminal cases. Our Sydney criminal lawyers are recognised as amongst Australia’s leading lawyers as well as the rising stars of criminal law. In the field of domestic and local criminal law our reputation has been built on the principles of delivering the highest quality legal service in every type of criminal case for over half a century, including leading cases in the High Court of Australia and the Court of Criminal Appeal. We are experts in assisting companies and individuals the subject of white collar and corporate crime investigations and prosecutions. We specialise in matters involving money laundering, complex fraud, domestic and foreign bribery, insider trading, embezzlement, taxation offences, and other dishonesty offences, which are prosecuted by the Australian Tax Office (ATO), the Australian Securities and Investment Commission (ASIC), the Commonwealth DPP (CDPP), the Australian Transaction Reports and Analysis Centre (AUSTRAC), the State Police, the Australian Federal Police (AFP) and the Independent Commission Against Corruption (ICAC). Our Sydney criminal lawyers act in complex crimes such as murders, sexual assaults, drug importations and frauds and are acknowledged experts in general crime, drink driving and traffic law (including license appeals). We have specialist capabilities in Crime Commissions, Royal Commissions and ICAC inquiries as well as a niche practice in civil proceedings against the Police for malicious prosecution. Our international criminal law practice focuses on transnational corporate and financial crime, bribery and corruption, international money laundering, cybercrime, international asset freezing and forfeiture, extradition and mutual assistance law. We strategically advise and appear in matters where transnational cross border investigations and prosecutions are being conducted in parallel jurisdictions, involving some of the largest law enforcement agencies and financial regulators world-wide. Working with our international partners we have advised and acted in proceedings involving the USA, Canada, the UK, the E.U, China, Hong Kong, Singapore, Taiwan, Macau, Vietnam, Cambodia, Russia, Mexico, South Korea, British Virgin Islands, New Zealand and South Africa. We are approached regularly by international lawyers to provide expert advice and consultancy assistance concerning Australian criminal law, Australian criminal practice and procedure and compliance with Australia’s Anti – Money Laundering laws. Our approach to criminal litigation is client focused and involves a deep understanding of criminal practice and procedure, both locally and internationally, combined with strategy, legal technical excellence and sophisticated advocacy.